This site was created out of the desire to help strengthen the relationships between African ancestored people. Our focus in this post is to identify what African Americans can do to individually and collectively to find greater happiness. I spoke in the last post about my quest to identify the principles that will help me realize a greater measure of freedom and happiness. I have researched my family history for over twenty five years. This includes spending time with family conducting oral history interviews. I am very proud of their accomplishments, but I believe they were robbed of the enjoyment they should have felt for what they achieved in life. They never took vacations. They continued to work like a slave driver remained over them. When they left work, they spent all their spare time serving in the church or community. I learned from each of them, especially my father, that I was to drive myself the same if I wanted to measure up. I took on my father's fear. I know that he looked at his little girl and feared that I would one day be taken advantage of. That is a fear a parent in slavery with a young daughter would have. He kept me under lock and key with exception of letting me go away to school. It took a lot for me to convince him that I would be ok. He had toughened me. My father is gone now, and oh how I wish I could have understood back then that he was only trying to protect me. He transferred his method of survival to me during a time when the threat had long passed away. How different that relationship would have been. My father worked himself into an early grave at the age of fifty. He worked because he did not want to see his family suffer. He descended from ancestors who worked the cotton fields and saw mills of Mississippi and Arkansas. He worked them as a young boy too in Tennessee. They were so poor, my father, one of the youngest of twelve children ate mud pies and searched the dumpsters of Memphis for leftover food for his family even though his mother owned a store and his father was a traveling carpenter. He vowed he would we would never go without, and we always had plenty. He built homes from the ground up all by himself. He would teach the fatherless young boys in the neighborhood how to paint, drywall, and pour a foundation for pay. I was jealous of them then. I was not a boy and could not get that kind of time with my father. I did not realize then that he knew they were hungry, and it was better to give them work than to give them food. They would learn that they could eat if they would work. 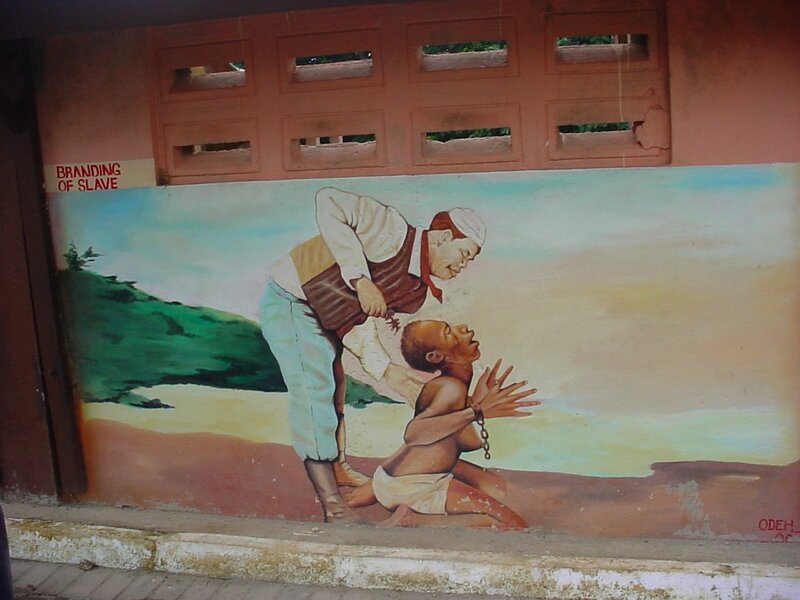 What behaviors can you discontinue today that your ancestors learned in order to survive oppression or slavery? What will you teach your children? According to Dr. Joy DeGruy-Leary, we hear some falsely attribute these behaviors to our culture. Our ancestors only adapted to survive the conditions of their day. If we continue incorporating them, we will never be free. I am so grateful to Conscious Media Productions for sharing this resource with me: Be the Healing. Purchase her book and companion workbook entitled "Post Traumatic Slave Syndrome." You will find a great many more resources such as articles, podcasts, and events. 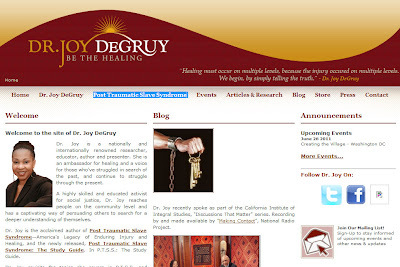 You can follow Dr. Joy DeGruy-Leary on Twitter and Facebook. Is it possible that our ancestors suffered post traumatic trauma as a result of slavery? Could this post traumatic stress have had any effect on their descendants? After slavery and decades of racism and oppression, how healthy are African Americans today? What are the negative behaviors that we have learned in the process of trying to survive? What are the problems today? Solutions?